In Le Marche region, in between the sea and the Apennines, one of the most beautiful hilly landscapes of Ancona’s province unfolds – it’s the land of prestigious wines such as Verdicchio dei Castelli di Jesi. Here, with its 35 acres of vineyard, CasalFarneto Wine Estate is located, where technology, tradition and sustainability combine to produce wines of excellence. Under the shade of Farnetto oaks, from which the Estate gets its name, the farmhouse boasts the cultivation of white and red grapes, with particular attention to organic wine. FOUNDATION OF CASALFARNETO WINE ESTATE. FOUR PARTNERS, ALREADY EXPERTS IN THE FIELD, DECIDE TO RESTORE A SMALL FARMHOUSE, SURROUNDED BY FARNETTO OAKS, AND TO INVEST IN THE TYPICAL WHITE WINE OF THE AREA: VERDICCHIO. TOGNI GROUP ACQUIRES THE WINE COMPANY OF 60 ACRES AND BEGINS THE BUILDING OF THE NEW WINERY. A GRADUAL RENEWAL OF ALL THE VINEYARDS COMMENCES. THE PRODUCTION EXPANDS WITH THE ADDITION OF RED WINES, BASED ON MONTEPULCIANO, SANGIOVESE, MERLOT, AND CABERNET GRAPES. FROM THE COLLABORATION WITH INTERNATIONALLY KNOWN OENOLOGIST FRANCO BERNABEI CRISIO, CASALFARNETO PRODUCTION IS BORN AND, WITH IT, THE FIRST AWARDS: IT GETS AWARDED BY THE PRETIGIOUS ITALIAN WINE GUIDE “GAMBERO ROSSO”, WITH THREE GLASS ICONS. 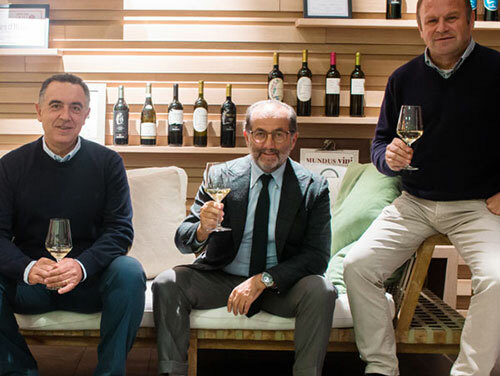 CASALFARNETO WINE ESTATE DECIDES TO CONTINUE TO GROW AUTONOMOUSLY CUTTING THE CORD FROM THE FAMILY BUSINESS, STRONG IN PAOLO TOGNI’S KNOW-HOW AND BUSINESS EXPERIENCE OF FORTY YEARS. For a decade, CasalFarneto has been managed alongside the Togni Group allowing its wine production to make good use of technical and entrepreneurial know-how, which has been vital to grow a business nurtured by strong effort and great passion for wine. Local geography, quality and innovation are a triple value aiming to propose a unique product to the consumer. The strong personality of CasalFarneto wines is the result of on-going experimentation retelling Le Marche winegrowing tradition in an increasingly more modern and biological key. Head of the family business since the beginning of the eighties, Paolo Togni remembers his entrepreneurial career like a journey of discovery of his real passions in life. Scrupulous about product development and innovation, each of his decision follows the company mission to look ahead always keeping an eye on improvement and development. 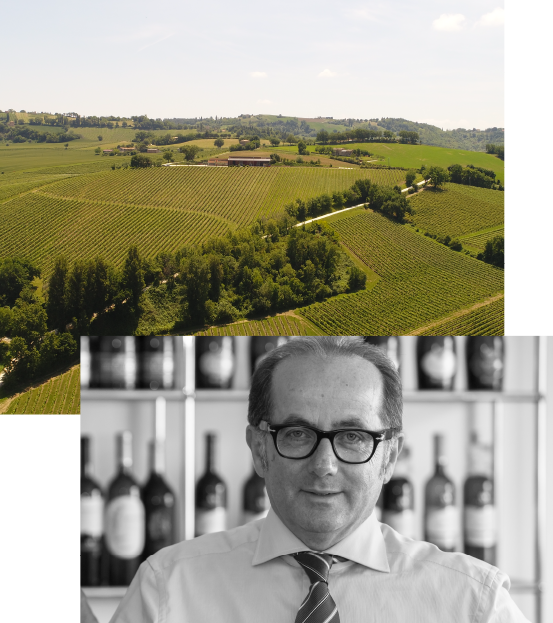 For this reason, after years devoted to the Togni Group and international markets, he realises it is time to let his land, Le Marche, do the talking through the uniqueness of its best expression: Verdicchio wine. Thus, the “second” half of his career begins, a path evolving thanks to the know-how he matured during the many years and an entrepreneurship bringing him close to his strong passion: wine and the wine market. Paolo’s personality represents the soul of a “creative and cultural” enterprise that acknowledges its own land as an added value to the innovative know-how, never undervaluing the importance of its own origins and the true beauty of Le Marche region. With CasalFarneto, Paolo lets nature talk to the future, gifting the consumer with time to appreciate the tradition, taste the present and envisage the future. One of the founding partners of the winery in ’95, Danilo has been constantly supervising the production and quality of CasalFarneto’s grapes and wines. His experience in the vineyard and in the winery during the whole fermentation process is essential to guarantee company’s continuity. Oenologist. He follows each phase of the production process, from fermentation to bottling, taking care of each qualitative detail. Oenologist Consultant. He develops and proposes our projects of excellence and innovation, following each step through with attention, care, and method. Administrative Manager. She is the female counterpart of our team, indispensible to do the maths and add up the winery’s numbers. Sales Manager for Italy. He is responsible for the sales through traditional channels, by liaising with over fifty agents covering the entire national territory. Market Consultant. He is responsible for modern selling channels. Aesthetics and functionality is the perfect blend in eco-architecture. CasaFarneto Wine Estate is the clear example of an eco-sustainable approach towards nature and the surrounding area. In the headland of Le Marche harmonious hills, the winery, mainly built of stone and wood, has been partly erected underground, blending itself with the landscape’s architecture and its colours. In this sense, Architect Nazzareno Petrini worked according to an aesthetic criterion that could enhance both the landscape and the winery with its winemaking technologies. As an example, the winery has been entirely covered by a roof garden planted to vines allowing for a double experience: the pleasant visual continuity with the landscape and a constant underground temperature at 18-20°C where the barrels and tanks are located. 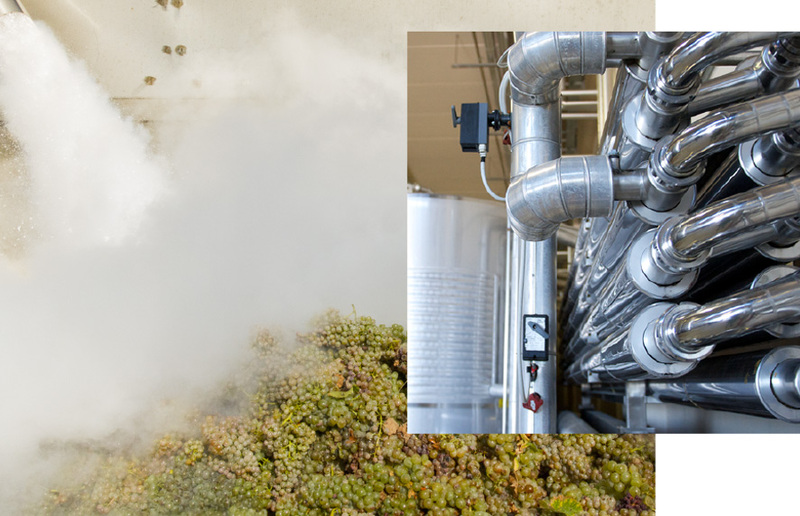 Inside, in line with the low environmental impact of the vineyards, technology couples up with natural processing methods to ensure purity in the wines and in the eco-system. CasalFarneto’s effort to reduce impact on the air, vineyard, land and environment makes it gain the definition of a “technological farm” – a place where to envisage the future of winemaking starting from the tradition. The charm of Autumnal vineyards is timeless. It’s important to work passionately and manually so that each cluster of grape gains the flavours and colours of the good wine of the olden days. Since the vine pruning – vital for the plant’s renewal and its subsequent performance, until the clusters’ thinning and harvest, each stage of the life in the winery is unique thanks to the attention to the terroir and the maintenance of its balance. 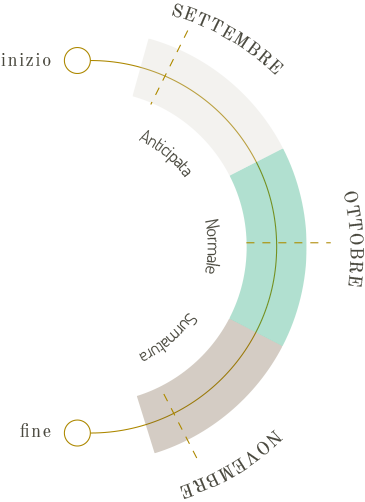 CasalFarneto’s wine production implements a low environmental impact policy, with specific treatments after chemical analysis, allowing for organic and less invasive fertilisation. Sustainability goes along the vinification process certifying its quality up to the bottling stage. This type of grape’s harvesting usually falls at the beginning of September, with the aim of producing wines mainly characterised by excellent freshness and acidity. It’s the traditional harvest, taking place during September and October and allowing the right balance of sugar and acidity in the wines produced. In this case, in order to obtain highly structured wines, the harvest takes place in the second half of October, so that the clusters are well ripe. The wines produced by this type of late harvest will be full-bodied and enhanced in their structure and softness.